Exquisitely designed home by world-renown architect Dan Sater. Surrounded by oak trees, this elegant, yet warm and inviting home will not disappoint. Upon entering this gorgeous home, linger a moment to take in the rock fireplace which soars to the second floor ceiling. Continue your gaze to see the delightful French doors from both upstairs bedrooms each of which has a separate balcony overlooking the living area. The luxurious main floor master suite is separate from other bedrooms providing privacy and has its own entrance to the outside patio. Chef's kitchen offers all Viking appliances including a wine cooler. Sealed hickory wood floors throughout and all bedrooms are en-suite. Oversized garage has room for a workshop + 2 cars! 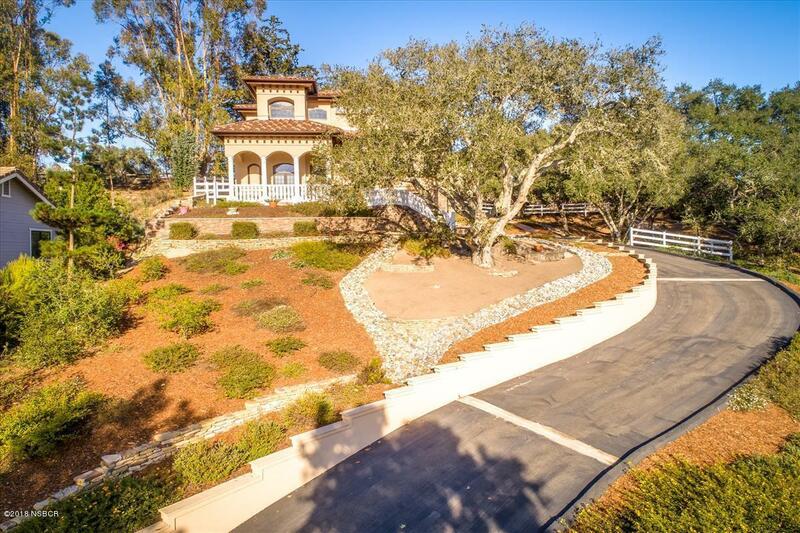 Situated next to the historic Village of Arroyo Grande. Information last updated on 2019-04-20 00:26:12.